Yes, I visited E-N@il's counter again and had my nails done! Here's the result that the E-N@il counter lady did for me. I asked her to do a color combo which the polishes I don't own. It is a hard task, since my E-N@il collection is growing, eh, quite significantly (let's put this way, shall we?). I chose this dark purple and she picked up the rest colors for me. 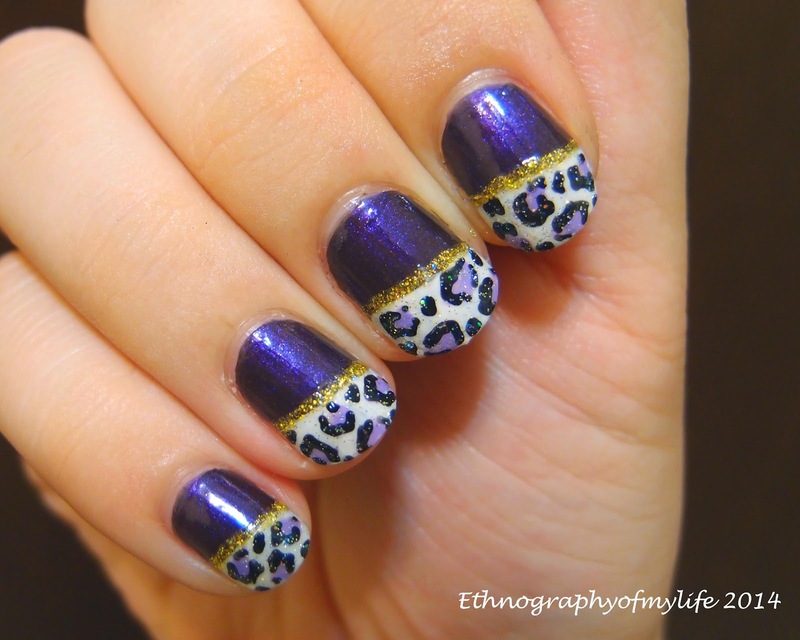 I am not a huge fan of animal prints, but I like this work. The shimmer on the tips are just so pretty. You may say this is more for winter/autumn time, and I totally agree. However, I don't follow seasonal trends nor the colors of the season. I simply do whatever I wanted and I feel needed at that moment. Gosh, by looking at this picture, I feel I really NEED that gold highlight color...(shhhhh). Overall, a pleasant experience with E-N@il counter again!